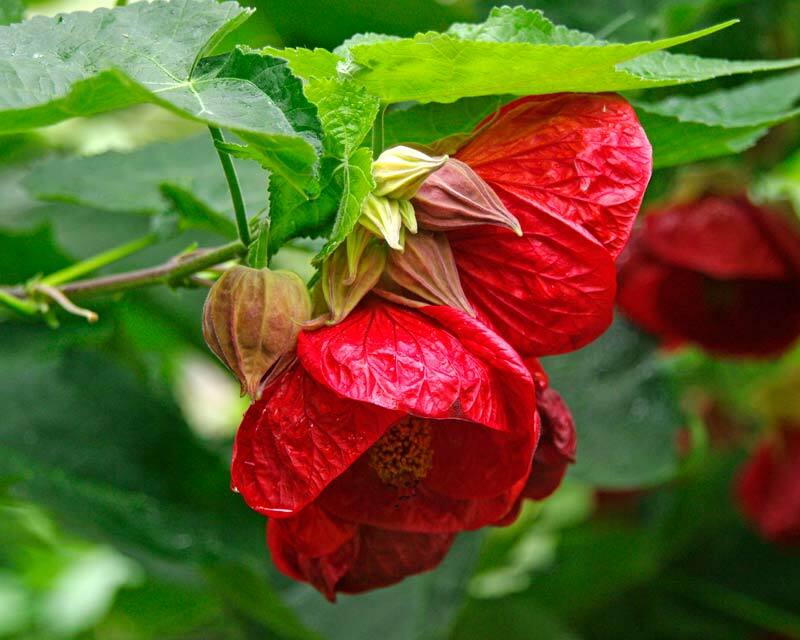 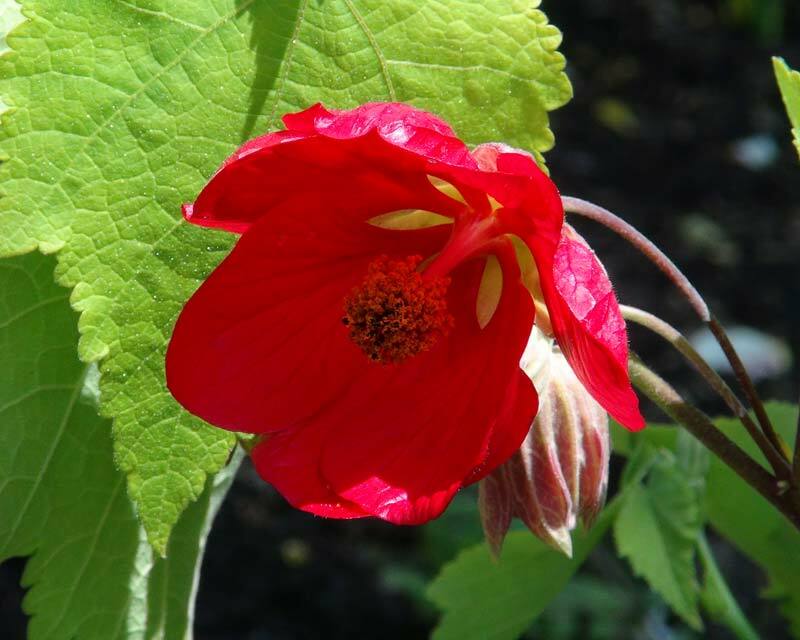 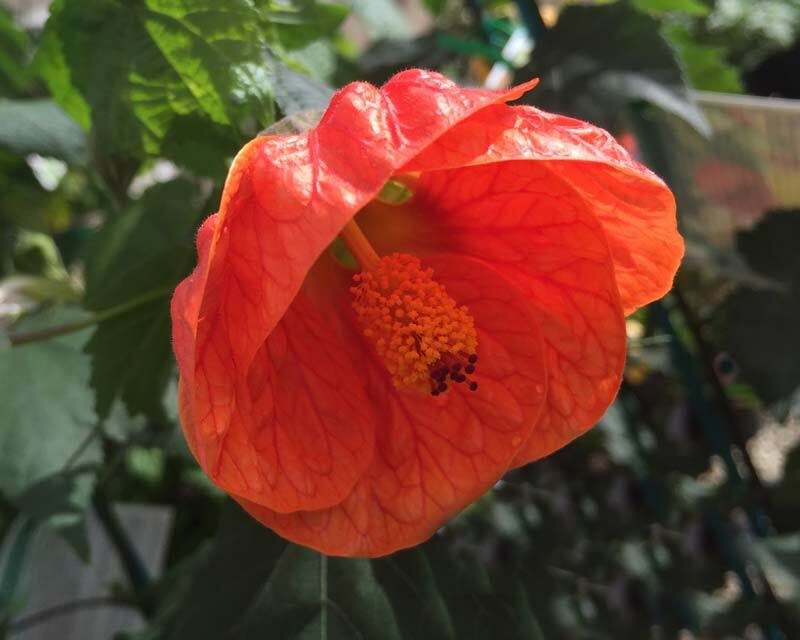 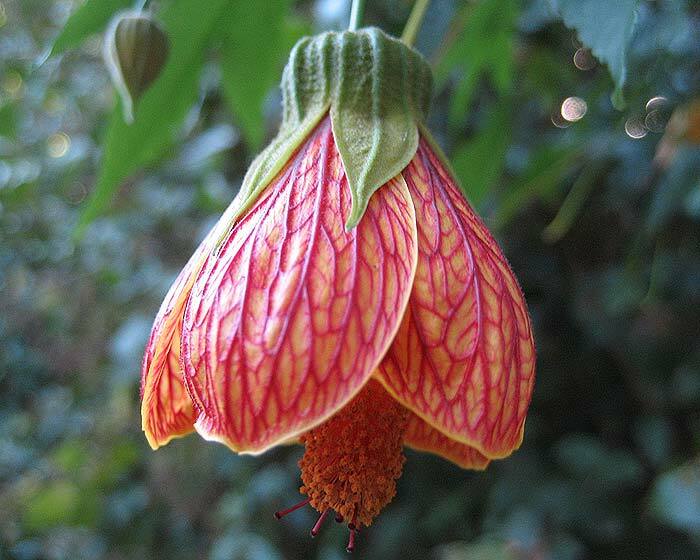 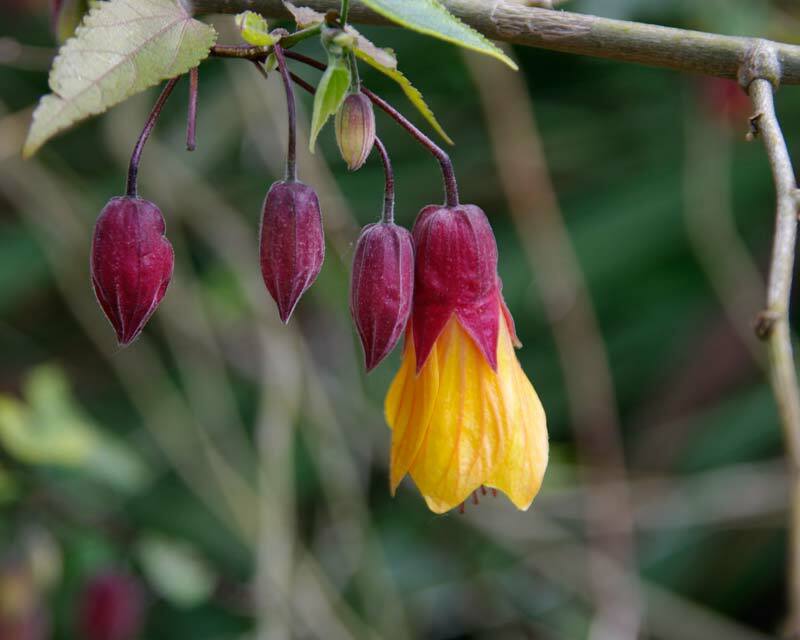 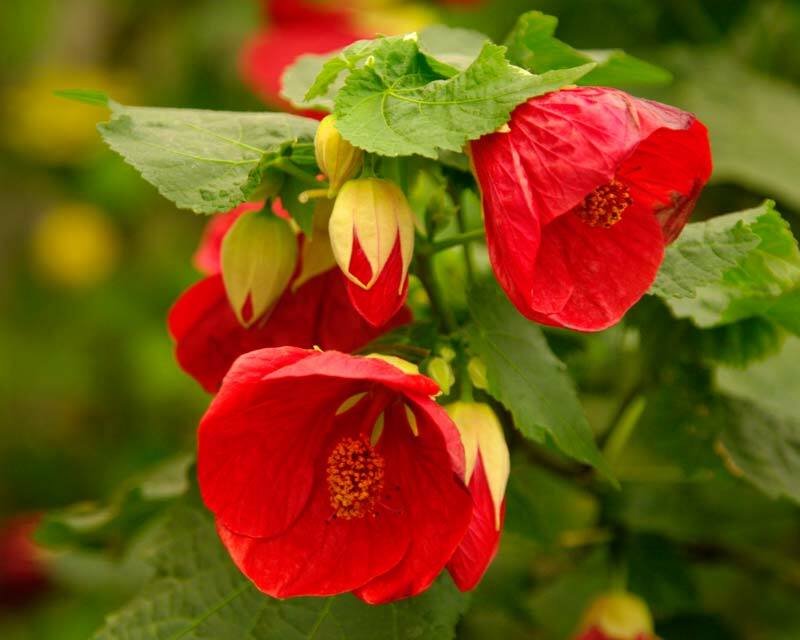 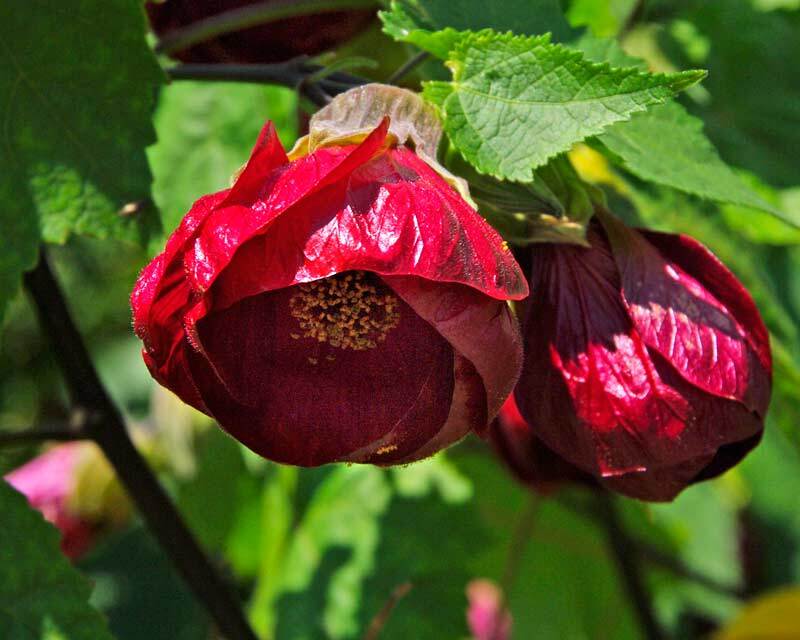 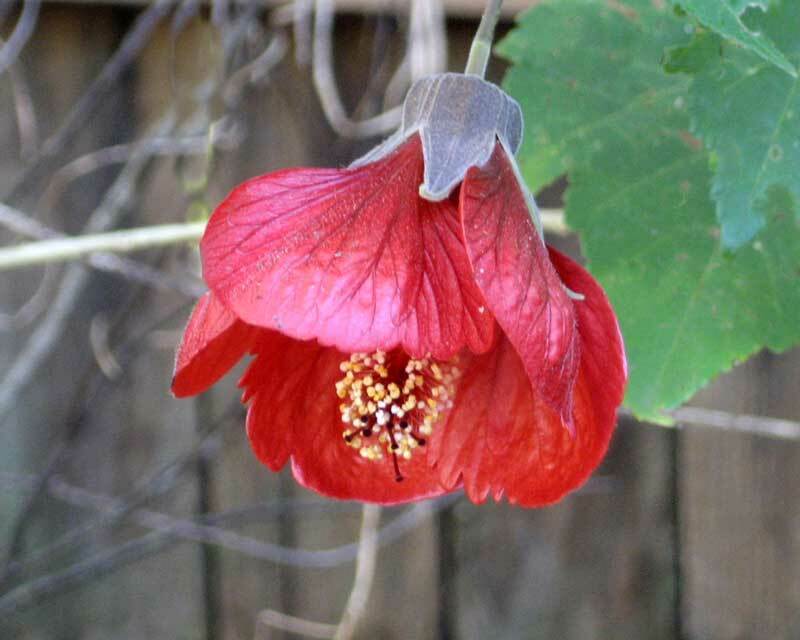 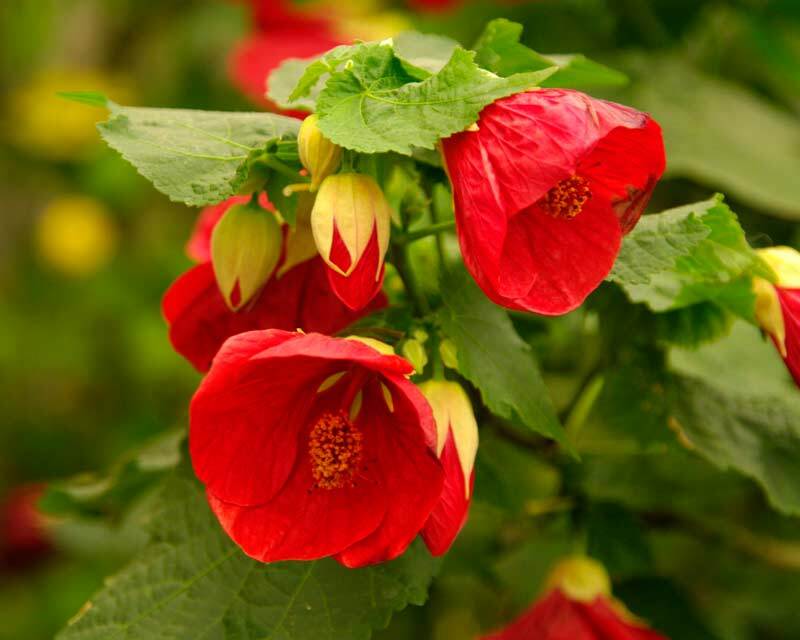 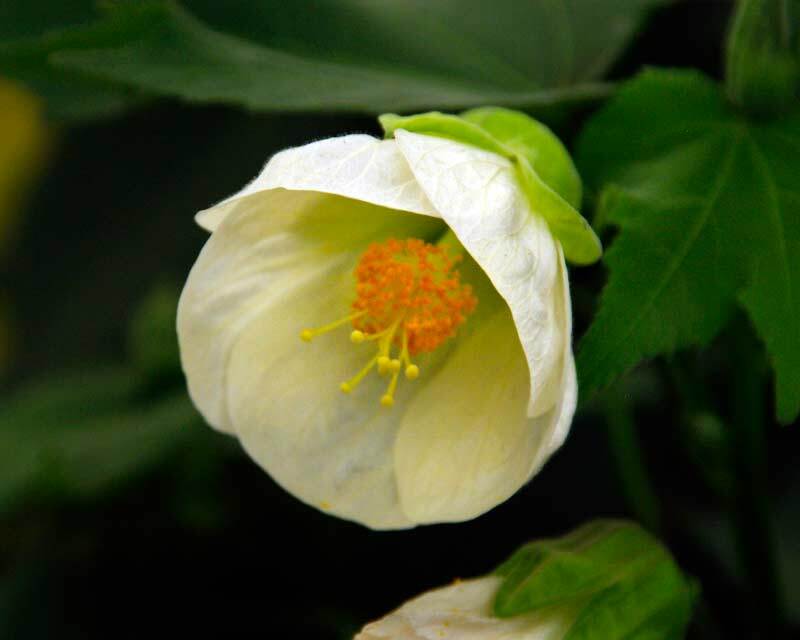 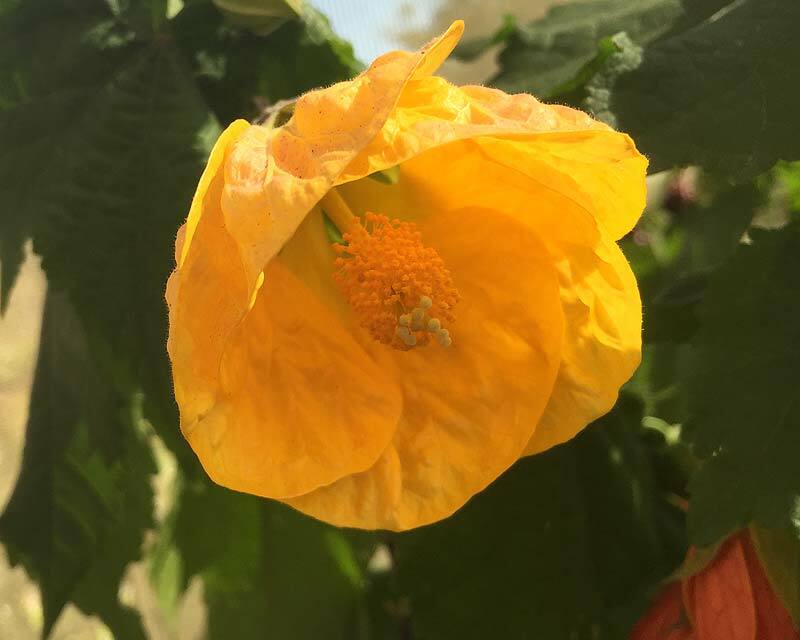 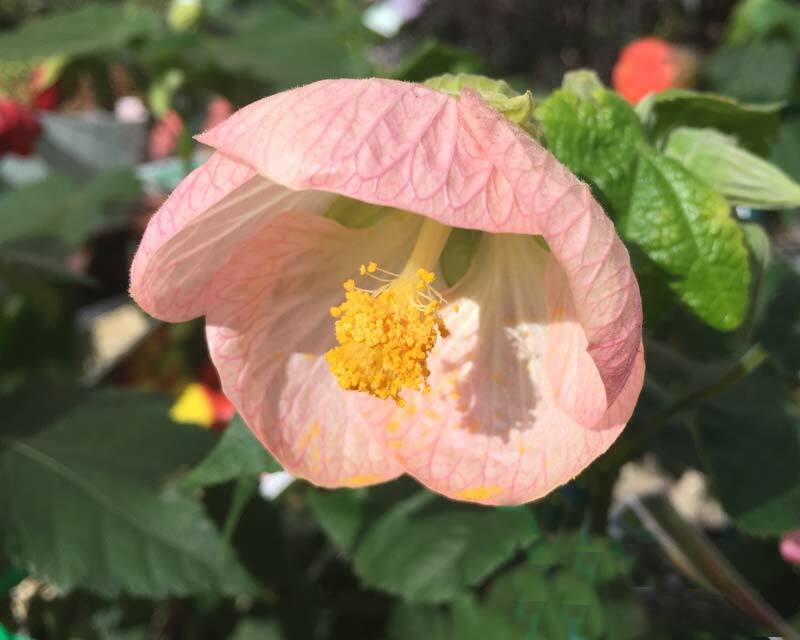 Abutilon x hybridum is an evergreen shrub that is valued for its lovely pendulous, brightly coloured, bell-shaped flowers that look like little lanterns, hence the common name. 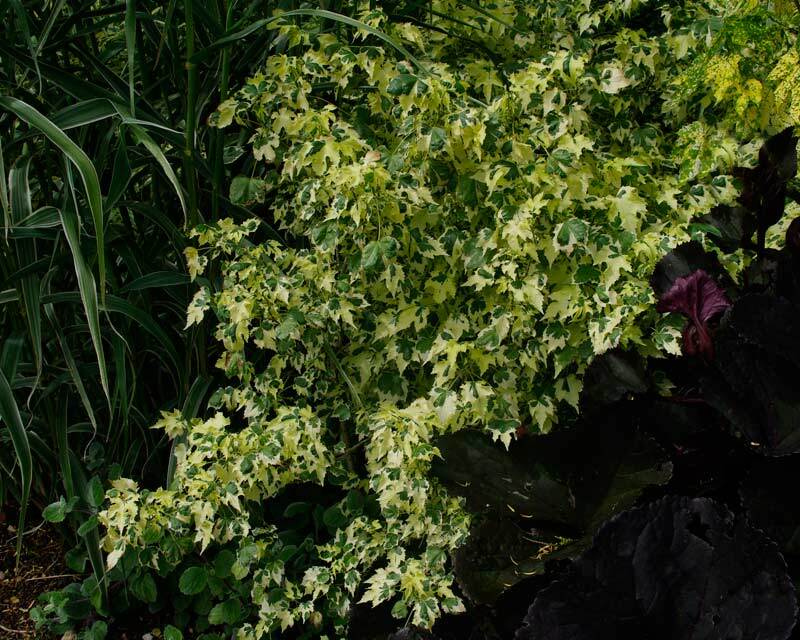 The plant has an erect and open habit and the leaves are palmately lobed, mid-green or variegated. 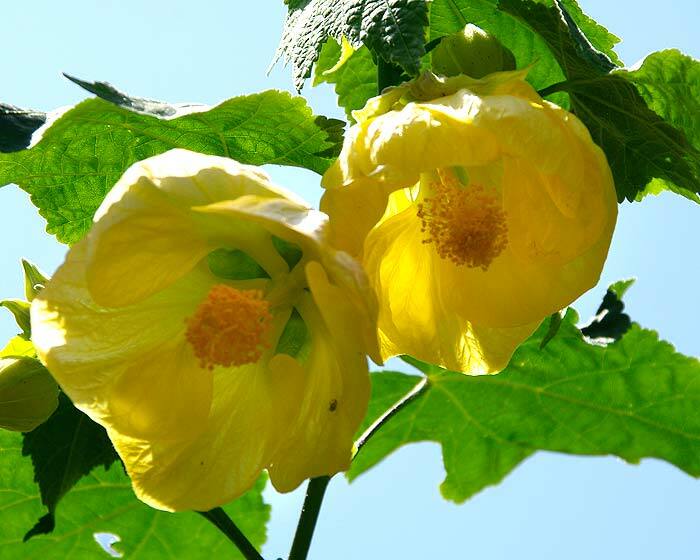 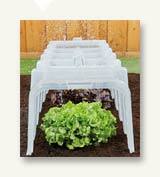 While they can tolerate shaded positions, the plant tends to be more straggly and have less flowers . 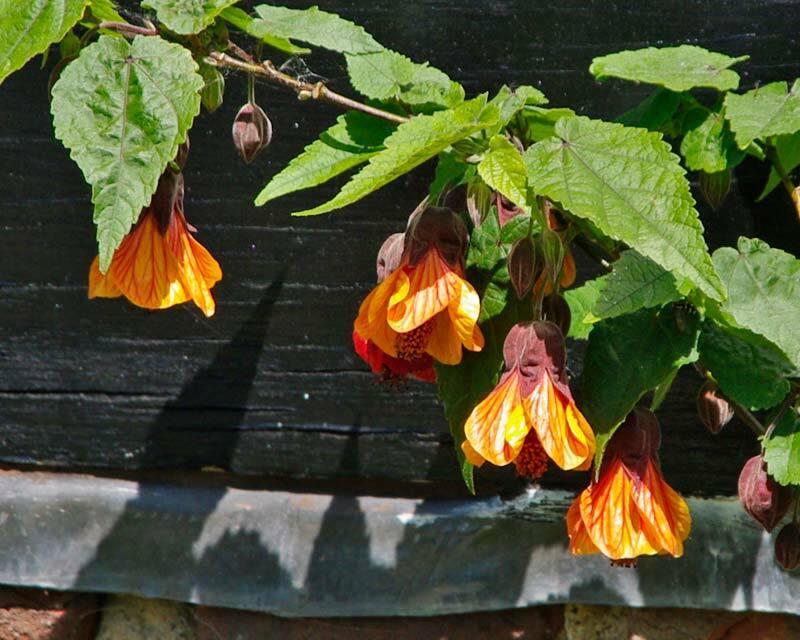 'Souvenir de Bonn' - orange flowers with red veins and variegated leaves. 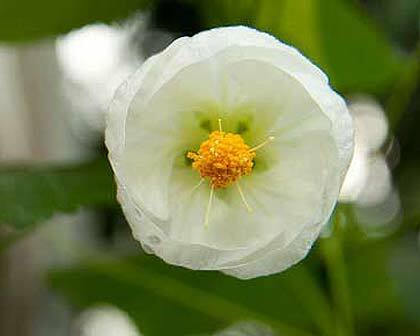 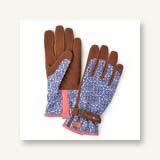 Maintenance: Prune hard in spring after flowering to keep tidy - also can be tip pruned to promote growth. 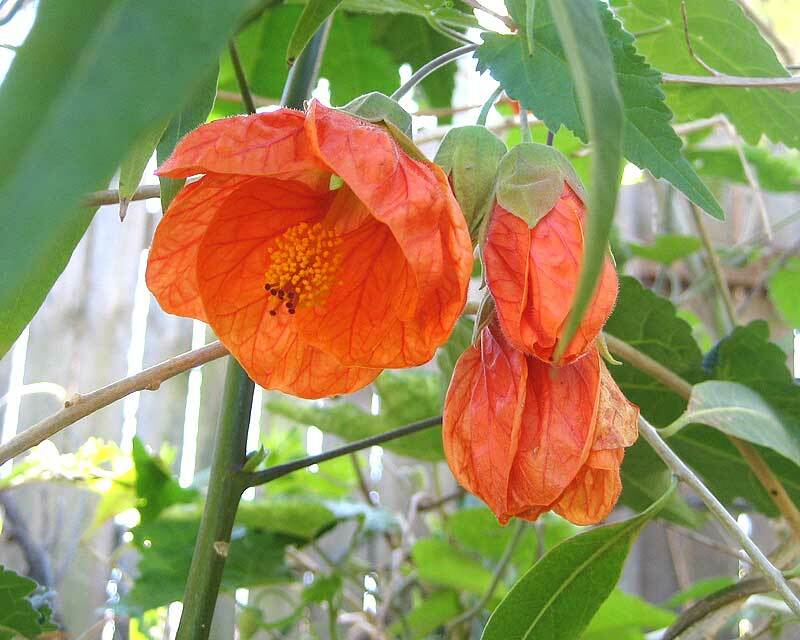 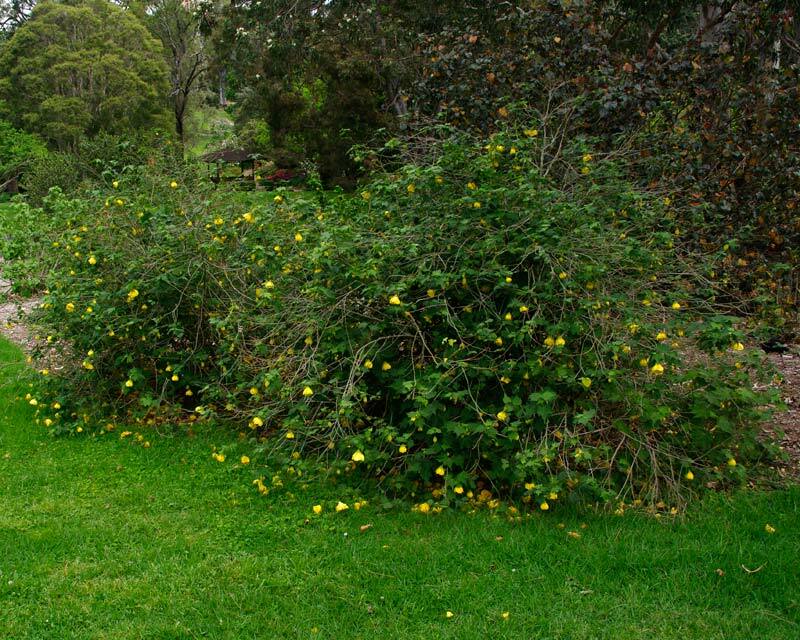 Clare - Sydney: I love my Abutilon but it can become rather leggy. 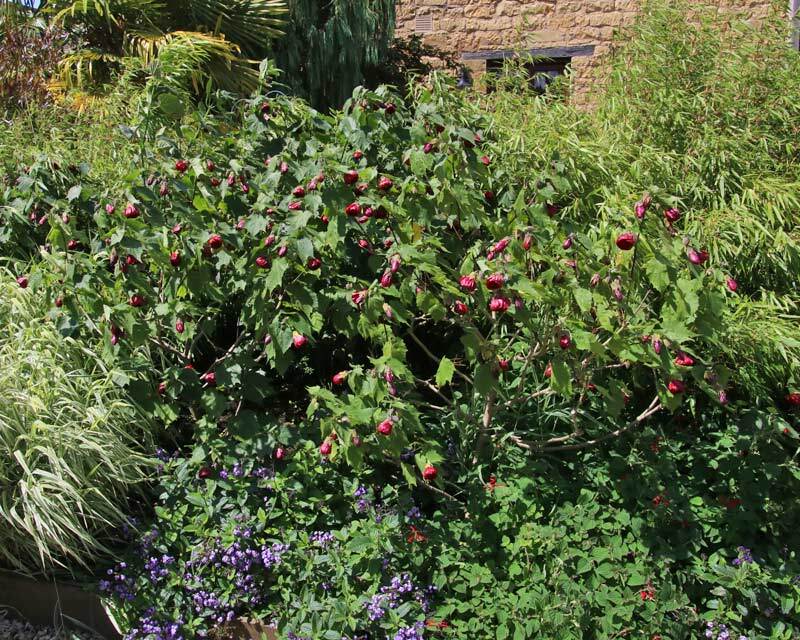 I find that if I give it hard prune in late winter I can maintain its neat habit throughout summer and autumn with just a light prune,.